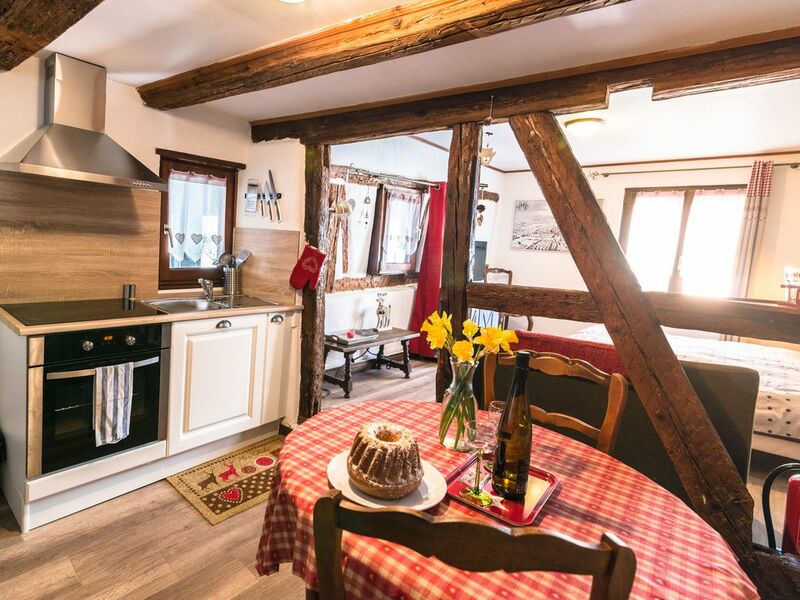 Pretty cozy studio located on the first floor of a house Alsatian winegrower with king size bed. Fully equipped kitchen, free wi-fi, TV, Senseo coffee machine and filter, shower and toilet. A washer and dryer are available in a common area. Accepted animals. Possibility to eat on the patio, communal table. Possibility to add a cot if needed. Coffee and tea are offered as well as a bottle of Alsace wine.